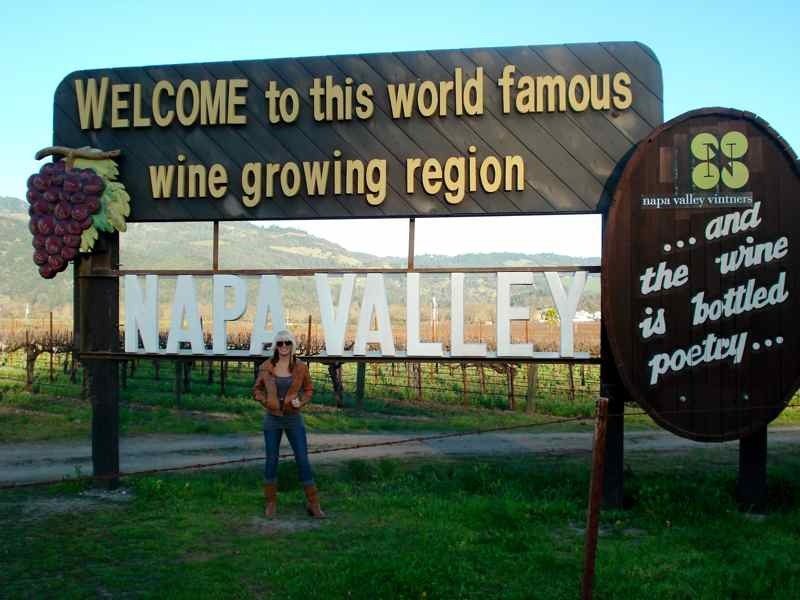 As long as I've loved all things wine, it's been on my list to visit the world famous wine making region of Napa. Last year, I attempted to try to put a trip together to Champagne, France, about 100 miles east of Paris. But unfortunately, some riots over the retirement age prevented me from making plans to fly into Charles De Gaulle airport. I've enjoyed many a day trip with close friends to The North Fork region of Long Island to frequent my favorite wineries like Bedel and Sparkling Pointe. Most people I've talked to who are not from New York, don't realize what an extensive wine growing region is available at the eastern end. I have also had the opportunity to visit Vigna Maggio in Tuscany in 2008, a trip I will never forget with friends and family. To get prepared for Napa, I went straight to my source and when I mean source, I mean my brother-in-law Jeff. 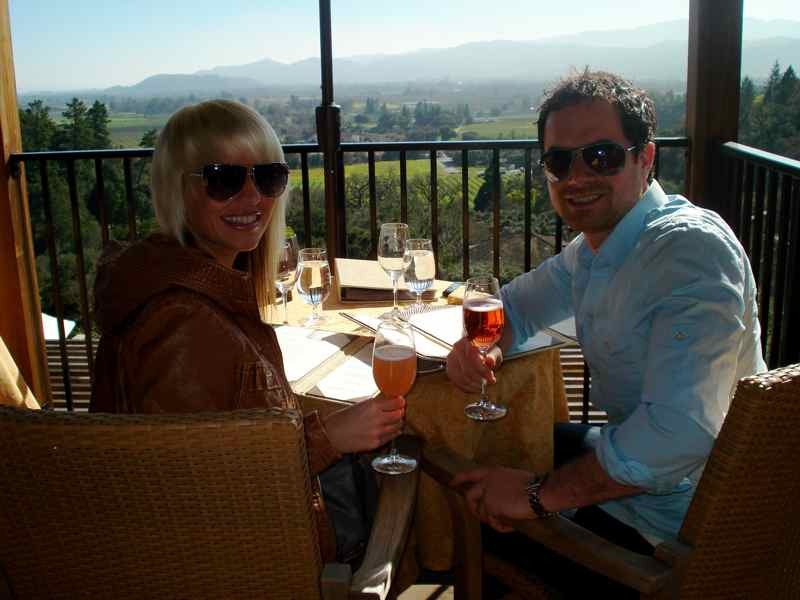 He is a walking, talking version of Conde Naste Traveler and Wine Spectator all rolled into one. He is THE Gold List, you would think he got paid to do this stuff but he does it purely for the hunt. He's all about finding that deal of the century on a Park Hyatt or the wine that's about to go big tomorrow but you can get it at a fair price today. I love visiting them in Orlando because I feel like I am at a wine bar when i arrive, he makes me taste all his new findings and pairs it perfectly with some sort of gourmet cheese. So I asked Jeff's advice on what wineries I should visit in my one day in Napa. I told him I could just google the whole thing and create a driving itinerary but he insisted he draw it on a sheet of loose leaf paper. Archaic if you ask me so I still entered the info into Google while he drew the map. I ended up losing his drawing several times before I left their house. Julie would find it just laying on the floor somewhere and put it back in my bag. Thank God for email and the internet because the story might have ended here if I couldn't even keep track of the directions. Since I was only going to be able to spend one full day in Napa due to my busy schedule, I needed a clear plan. Jeff knows that my favorite white is Chardonnay but I also enjoy some reds and love champagne. So he made a few suggestions that were all wonderful and within a close distance from each other. 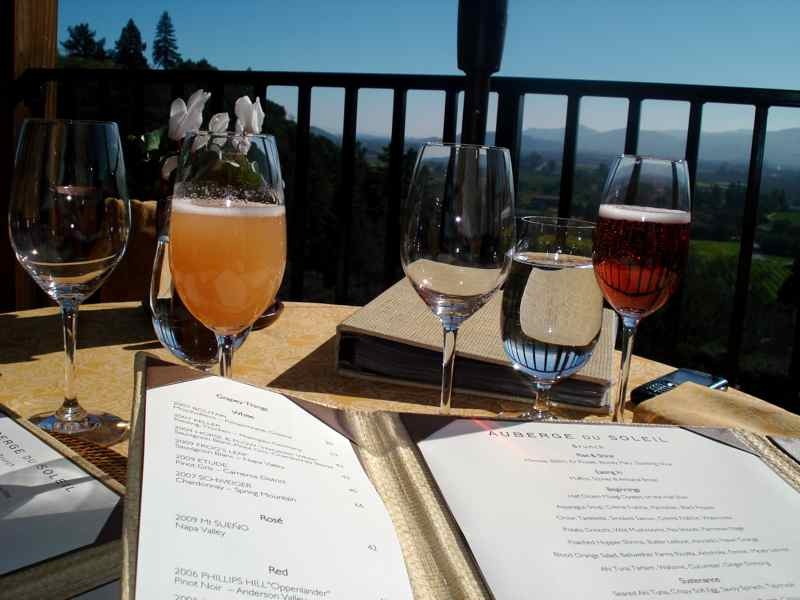 Cakebread Cellars, Rombauer Vineyards, Phelps Vineyards to taste some good reds, Auberge Du Soleil for brunch and finishing the day off at Mumm Napa for some bubbly. Unfortunately, most of the tasting rooms close around 5pm so I had to modify this plan a little more so I wasn't rushing around to each vineyard. I ended up nixing Phelps even though I did not want to. Below is schedule and a brief description about what to expect. Info: Enjoy a sumptuous sample of their current release wines. Tasting requires approximately 45 to 50 minutes. No reservation was required. 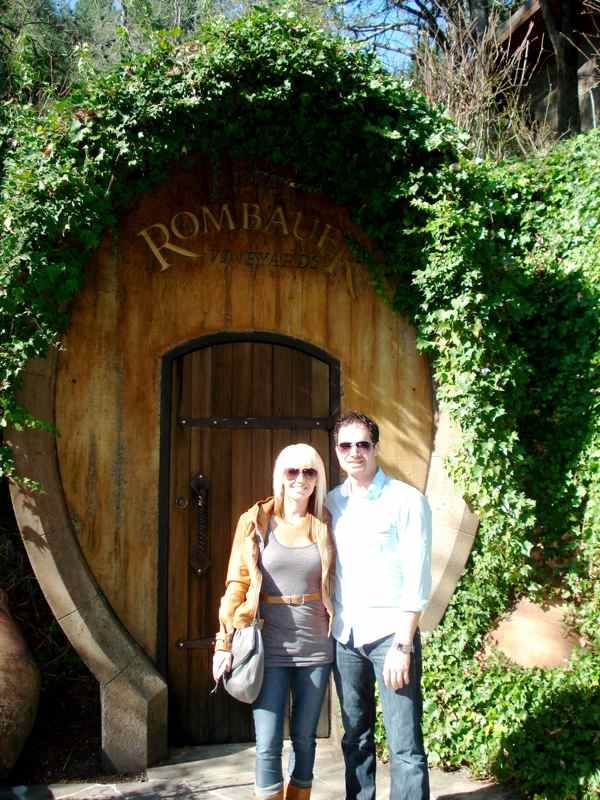 Rombauer is known for their Chardonnays and walkable hillside gardens. A Rombauer staff member will guide you through samplings of their currently released wines. It is imperative to make a reservation. I suggest going to their website which will lead you to OpenTable where you can pick your time. Brunch is served until 2:30 pm. Check the website for appropriate times and attire. I would not miss this opportunity to try this restaurant. On a clear day, the outdoor patio is absolutely perfect. 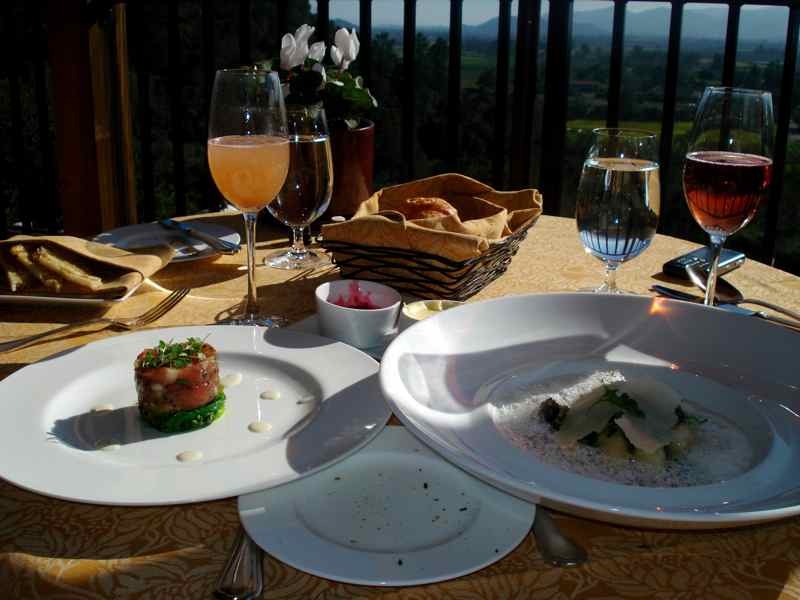 Conde Nast rated the restaurant at 96 points and the outdoor patio is featured on the Gold List for 2011. *note Do not get here late since this spot can fill up fast and they will turn you away at the parking lot. The last tasting ends at 4:45. 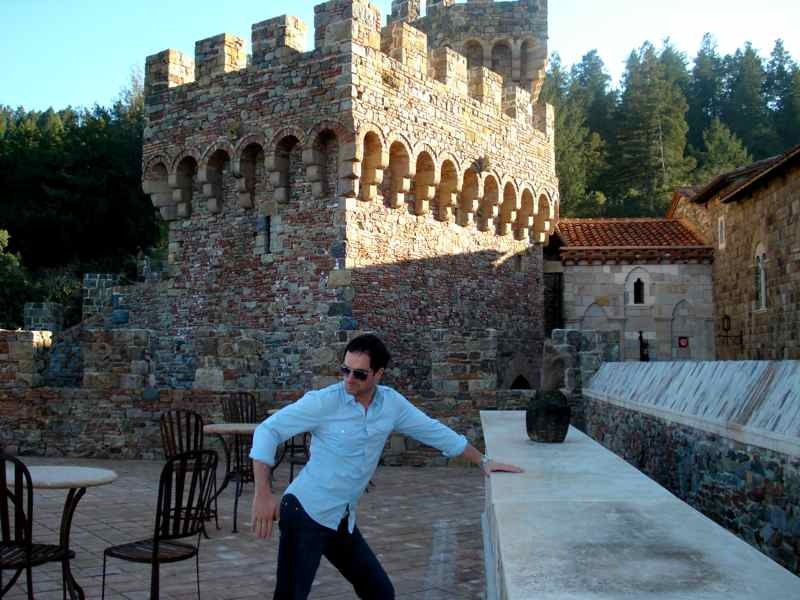 I was disappointed to miss this but we made a slight detour after Auberge du Soleil because my boyfriend wanted to see the castle vineyard called Castello Di Amorosa that was featured on Season 14 of the Bachelor. Talk about a little role reversal! Between Joe and I we have four different friends or acquaintances that have been on the show. 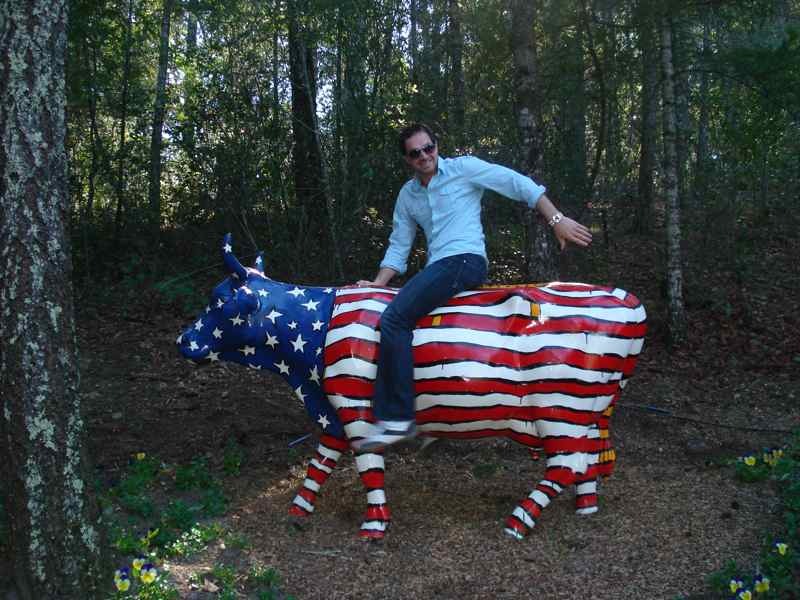 I thought it would be too touristy but sometimes you just have to compromise. The castle was way out of the way compared to my perfectly planned route but I just went with it since it was something he wanted to see. We drove further north to the location and pulled into the gates of the opulent entrance. Sure enough, there were more tourists there than probably the rest of Napa combined, we actually had to park in a row of vines to even find a spot. 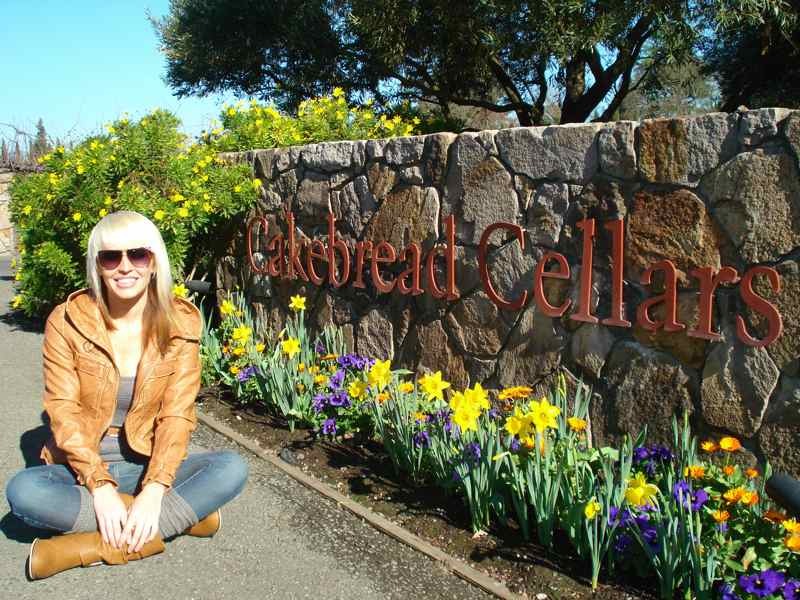 The setting is cheesy in my opinion but we got some good photos and couldn't even make our way to the tasting room. The important part was that we had fun and laughed even though it wasn't something I particularly wanted to do. Finally we couldn't take the crowd anymore and speedily walked back to our rental car. I had to call my dad in the process because he is a huge fan of the bachelor. What is the deal with all the men in my life being obsessed with the Bachelor Series? weird. Unfortunately when we made it back to the original plan of visiting Mumm Napa it was too late, the parking lot was at capacity and we were turned away. Even though I did not get to visit Mumm, I was somewhat exhausted from the day of fun. On a side note: We also had the opportunity to stop into a place called Crush Pad. I came across this website randomly one day and thought it was interesting. 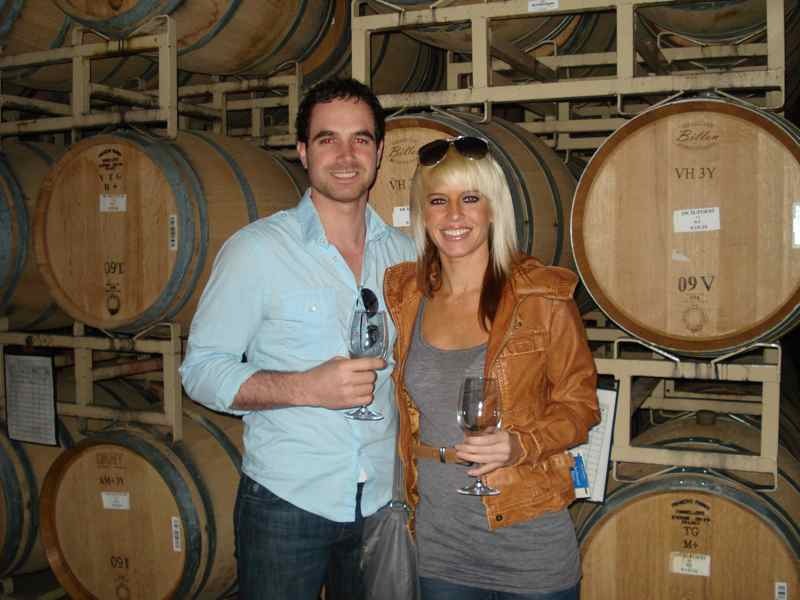 Basically, Crush Pad allows people the opportunity to create their own wine from start to finish. 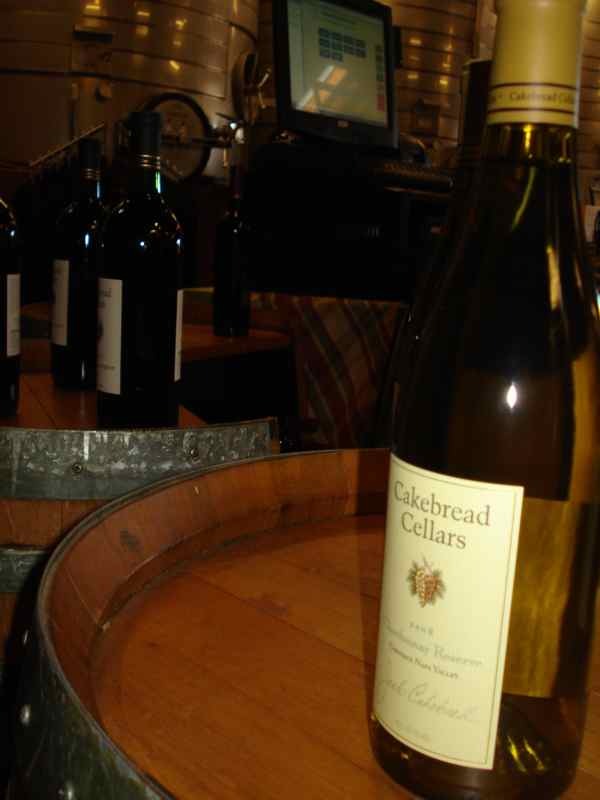 Intriguing since some of the wines produced through Crush Pad's services have received 90+ points from Wine Spectator. Although it's not for light wallets, it can give people who are interested in making their own wine sort of a testing ground to see if it's truly enjoyable or not. 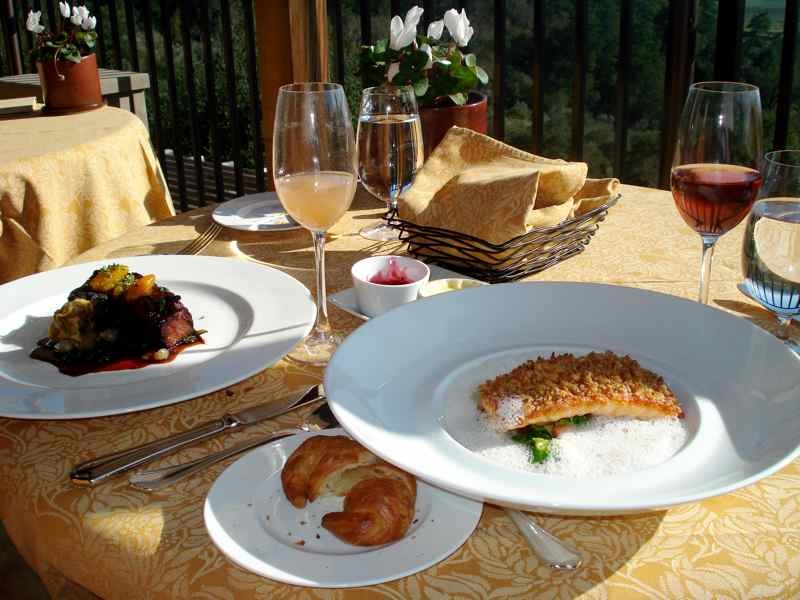 Check out their online site or stop in their locations in Napa or Burgundy, France. Viewed 18175 times so far.